Consisting of 5 reels and 20 paylines, 8 Dragons slot has been recently launched by Pragmatic Play. This video slot game features an oriental theme and you will see dragons flying on the reddish-golden reels! Trust your instincts on this game and grab interesting perks like free spins, scatters, stacked symbols and wilds! Watch out while the reels are rolling as the lovely symbols like lions, tigers, fish, gold ingots, gold coins, 9, 10, J, Q, K and A can catch your eyes! To grab winnings on this game, there should be winning combinations from left to right aligned on any winning paylines. Want to discover the dragon’s world? You can focus on the display by making use of the auto-play feature! This feature lets you choose from 10 to 1,000 spins to be played, handsfree. Bet Levels: You can choose your preferred bet level from 1 to 10. Amount of Paylines Selection: You cannot change the paylines as these are fixed. Coin Values: The coin values vary from £0.01 to £0.50. The wild symbol of this online slot is the Dragon. It appears as stacked in combos of 2 and awards a 2x multiplier when part of any winning combinations. Red Dragon – 20 free spins with either 2x, 3x or 4x wild multipliers. Blue Dragon – 20 free spins with either 2x, 3x or 4x wild multipliers. Green Dragon – 15 free spins with either 3x, 4x or 6x wild multipliers. 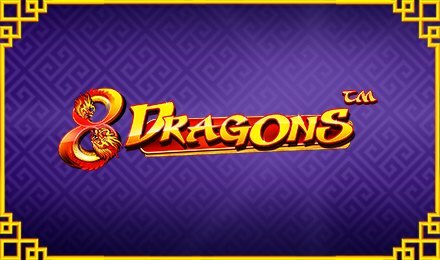 Purple Dragon – 8 free spins with either 6x, 8x or 10x wild multipliers. Pink Dragon – 5 free spins with either 8x, 10x or 15x wild multipliers.